Placed at an altitude of 5000 feet above the sea level amidst Shivalik Ranges of the Himalayan mountains, the Moksha Himalaya Spa Resort is one of the most well-known wellness resorts in the world. Placed beside the Kaushalya river, it is located in Kalka, Himachal Pradesh. This spa resort covers an area of around 20,000 sq meters, which is perfect for eco-group vacations, family vacations and for couples as well. During your stay, you get completely rejuvenated and relaxed. Pick from an extensive range of wraps, treatments, massages, rituals and therapies. The nearest International airport to Moksha is in Delhi, which is around 280 km away and the nearest Domestic Airport is in Chandigarh around 34 km away. Both these airports receive daily flights of different airlines. The nearest railway station to Moksha Himalaya Spa resort is Kalka Railway Station that is located at a distance of 7 km. The second closest is in Chandigarh, which is 30 km away. 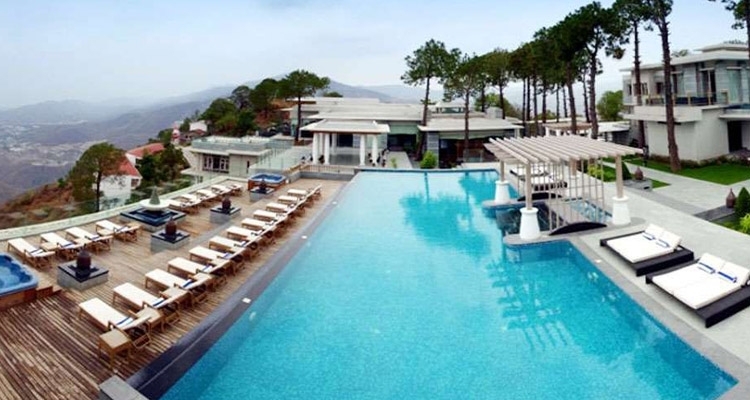 This Spa resort is around 35 km from Chandigarh and lies on the road to Shimla from Chandigarh. Services of luxury buses and cabs are available from Delhi as well as Shimla. 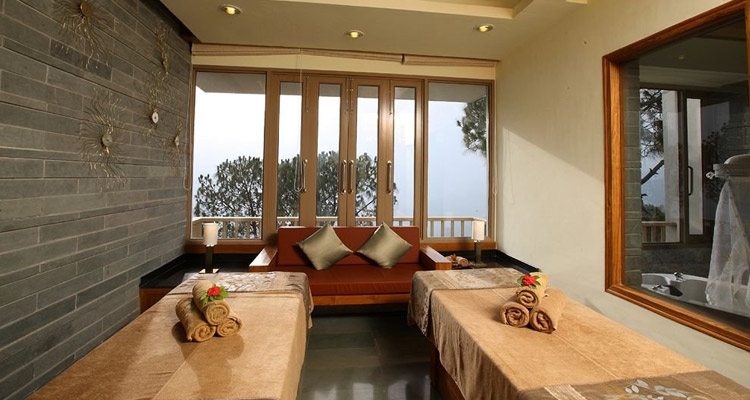 The Moksha Himalaya Spa resort has 14 multi-function therapy and treatment rooms offering a view of the Shivalik Ranges. The property has special Ayurvedic, Aromatherapy and Therapeutic rooms, a Turkish hammam (separate for men and women), outdoor relaxation lounges with luxury amenities, Infrared sauna 6 Yoga and Meditation Centers, couple treatment suites with Jacuzzi Thai Massage Salon and Hydro facilities including whirlpool, herbal steam bath, ‘VICHY’ rain shower, Spa boutique and 2 outdoor heated Jacuzzis. Treatments and therapies at Moksha are focused on 7 energy centres of a human body, important for complete well-being -Sahasrara, Vishuddha, The Solar Plexus Chakra, Muladhara, Svadhisthana, Ajna and Anahata. The products, oils etc. are made by using organic and fresh herbs. The ingredients are 100 percent natural, are environment –friendly and are made from fresh hand picked herbs. In massages, pure essential oils with no artificial fragrance is used. The Moksha spa offers a number of massage therapies, including from Indian, Eastern and Western rituals. Oils used are picked according to the season. In Summers, oil providing cooling and refreshing effects are used while in winters oils offer relaxation to mind and body with oak and spice fragrances are used. This resort has a total of 15 colonial-style inspired buildings placed at a walking distance from each other. There are 62 Suites in Moksha Himalaya Spa resort. These Suites are perfect for nature enthusiasts, spa lovers, honeymooners and holidaymakers. 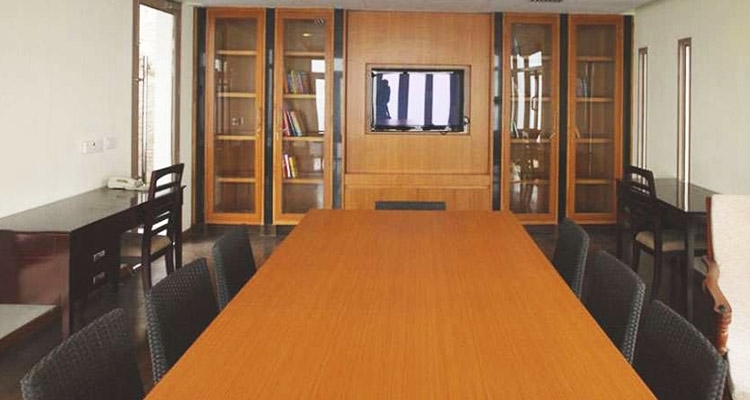 Every suite offers an amazing view of the Himalayas and is elegantly furnished with stone finishing and natural wood. Moksha Suites are spread in an area of 75 square meters, comprising of huge private dressing, separate living room, private terrace, attached bathroom with extra-deep bathroom and rain shower. The master bedroom has AC with individual climate control, a king-size bed, 2 LCD Satellite TV, stuffed minibar, internet facility, tea/coffee maker and more. 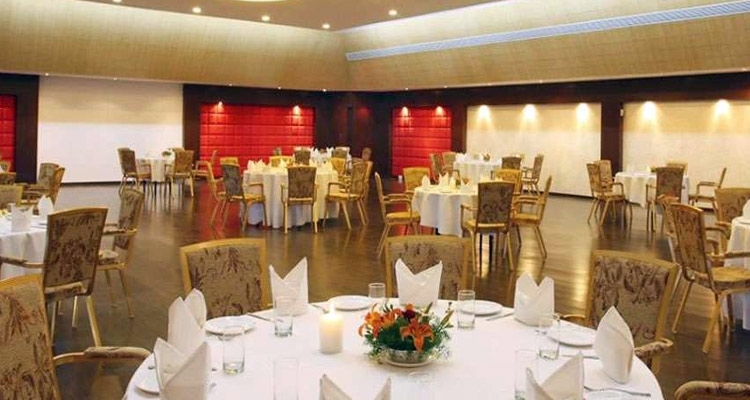 The on-site restaurant with a seating capacity of 30 (outdoor) and 60 (indoor) serves sumptuous dishes of Indian, International and Asian cuisines. While relishing your meals, enjoy an amazing view of the majestic Himalayas. At this well-stocked bar, located on the lobby level, enjoys various kinds of cocktails, wines and non-alcoholic drinks as well as refreshments. This bar has a seating capacity of 20 (outdoor) and 24 (indoor) guests. This is an ideal place to unwind.